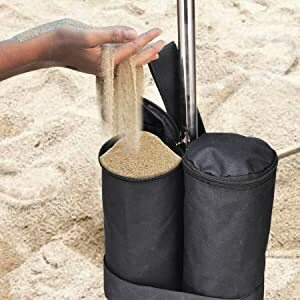 ZIPPERED TOP PREVENTS LEAKAGE: Unlike those weight bags with closure, these Canopy Sand Bags with zippered top can prevent your sands from leaking outside in extreme weather conditions. STURDY HANDLE FOR HANDY TRANSPORT: The sturdy handle built on the top of this Canopy Weight Bag makes it handy to transport after loading with sands, gravels, peas and heavy materials. No tiring lifting anymore! LARGE CAPACITY FOR ULTRA SECURITY: Each of these Weight Bags for Instant Canopies can hold up to 30 lbs of sands when fully filled, well securing your canopies and tents in windy and gusty days. Plus, every bag is equiped with an anti-rust hook which you can insert into the ground to further anchor the bags. 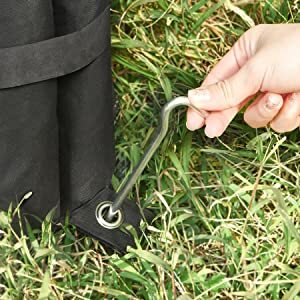 FIT WELL WITH ALL CANOPY & TENT LEGS: This Sand Bag for Canopy Tent comes with a strong and long strap which will perfectly wrap around any canopy and tent legs with a diameter less than 2.75 inch. No need to fuss with tie downs or rope for securing! 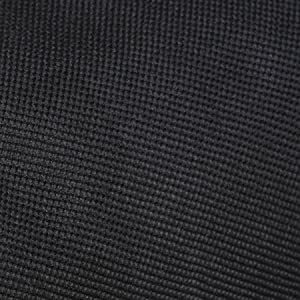 STRONGLY BUILT FOR ALL WEATHERS: The extra thick Tetoron fabric, smooth zippers and excellent stitching give these Weighted Bags for Tents a heavy duty construction that helps you withstand all outdoor conditions. Bonus Anchor Hook Further Secures your Canopy! Great weight load & anchor hooks well secures your canopies and tents by withstanding strong winds and gust. Fill without leakage. Zippered tops prevent the sands from leaking. 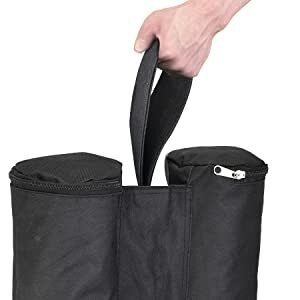 Portable handle for easy transport. Sturdy top handle makes it convenient to move with less effort. 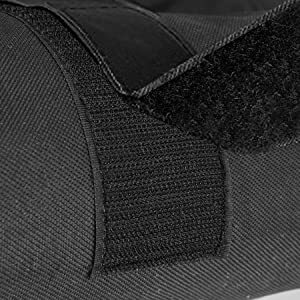 strap wraps perfectly around any canopy and tent legs, saving you from the hassles of securing with ropes. Great for instant canopies, pop up canopies, tents, fair booths, sun shelters, etc. Sightly & low-profile design provides a nicer professional look than the bucket system. Fill each cylinder of your weight bags with sands, gravels or other heavy materials.